As we all know Holi is known as festival of colours like many other festivals in India. 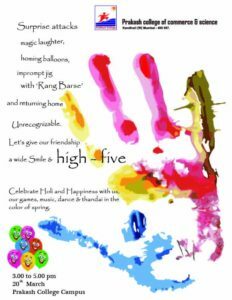 Holi also signifies a victory of good over evil. The Holi celebration was organised on 20th March, 2019, for all the teaching & non teaching Staff members by Management & Cultural Committee ,along with Holi celebration we also celebrated ” World Happiness Day..!! 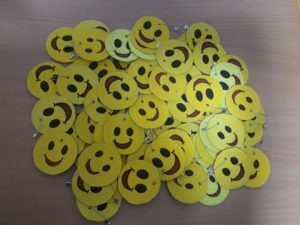 !” to recognize the importance of Happiness in the lives of people around the world. 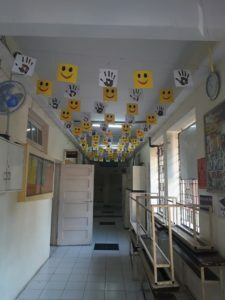 World Happiness Day is celebrated on 20th March of every year. 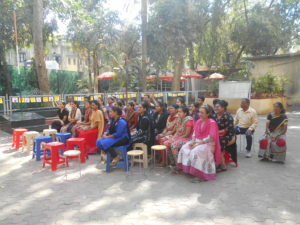 It was the first year we celebrated it in our campus. The whole campus was decorated with colourful handprints & smiles festoons. 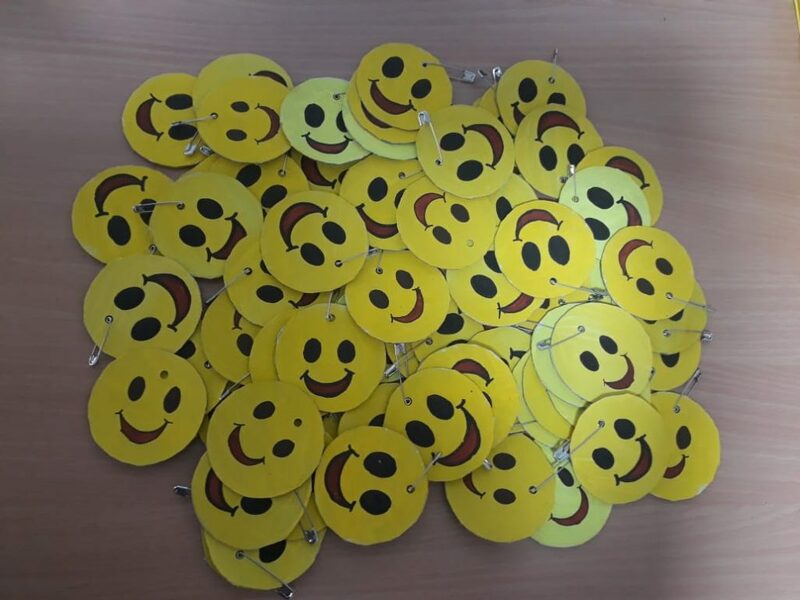 The happy face batches were prepared for all members which indicates World Happiness Day. 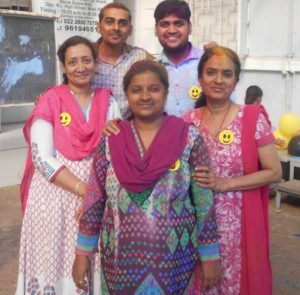 Our celebration started by welcoming the Management Trustees , Mr. Shirish Gandhi , Mrs. Bhavana Gandhi, Dr. Bhavisha Gandhi Shah & Dr. Disha Gandhi Dhulia along with our Incharge Principal Mrs. Dhanshri Mota. They gave wishes to all our staff members & also shared their happiest moment with us. 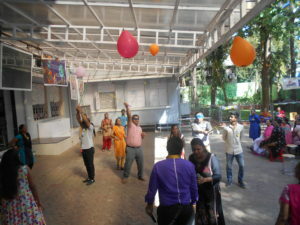 The celebration was continued with games like Picasso & Balloons balancing game. 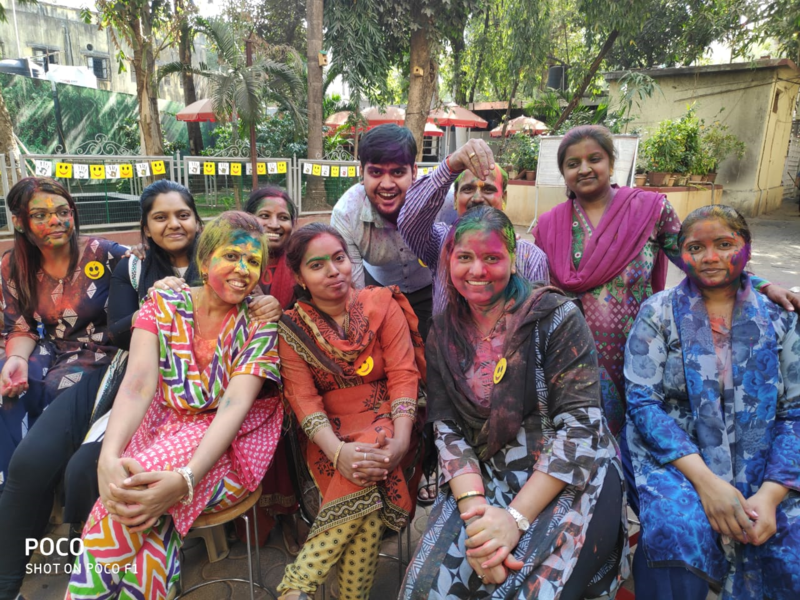 After gaming session music was also arranged for the staff members to play holi where Selfie Competition was also introduced to them. 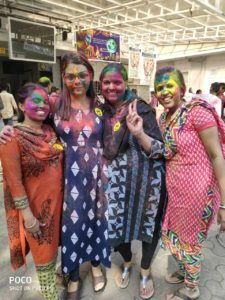 The members were suppose to click group selfies which indicates Holi & Happiness in it. The best 3 selfies will be announced as Winners of the competition & will be uploaded on our site with Winners tag. The Management & all staff members enjoyed the music & dance floor with colours of Holi & Happiness which was followed by our tasty refreshments- Hot Sandwich & Holi Special Cool Thandai. The day comes to an end with lots of colourful & happy moments…!!! !